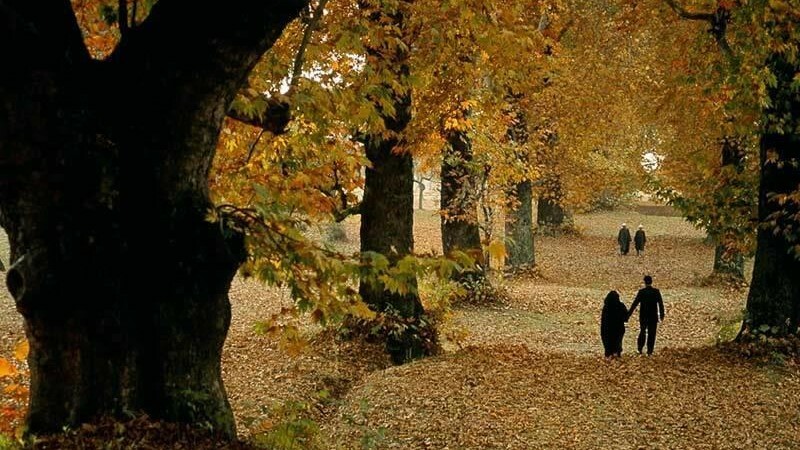 Kashmir is a land of myriad seasons and it changes the hues of landscape with the seasons. 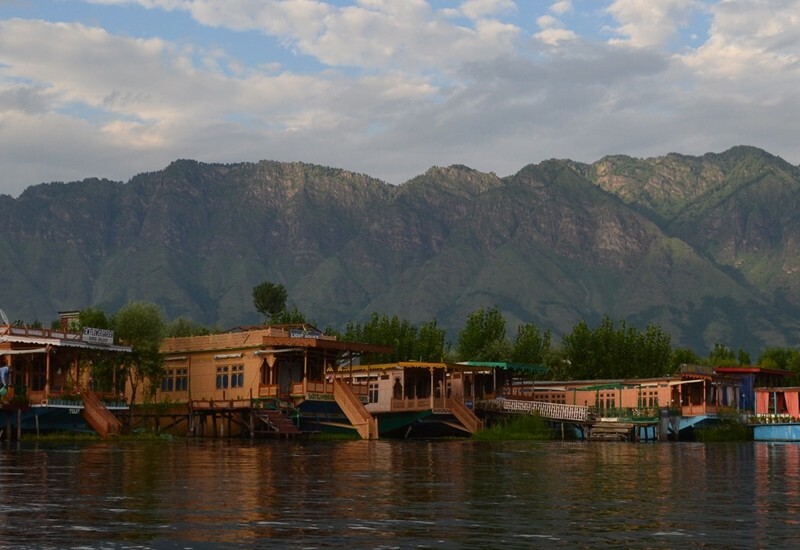 Burgeoning with magnificent scenery, unique experience in Houseboat staying, Shikara riding, Mughal Gardens, floating vegetable Gardens and host of adventure activities, this enchanting valley is always lavishly beautiful and a favored destination for tourists from all walks of life. 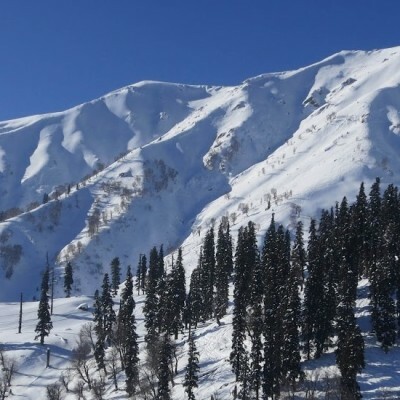 Incredible beauty of nature, innate appeal, blissful ambiance and misty cool air of Kashmir satiate inner soul of every traveler and persuade them to visit this land again and again. 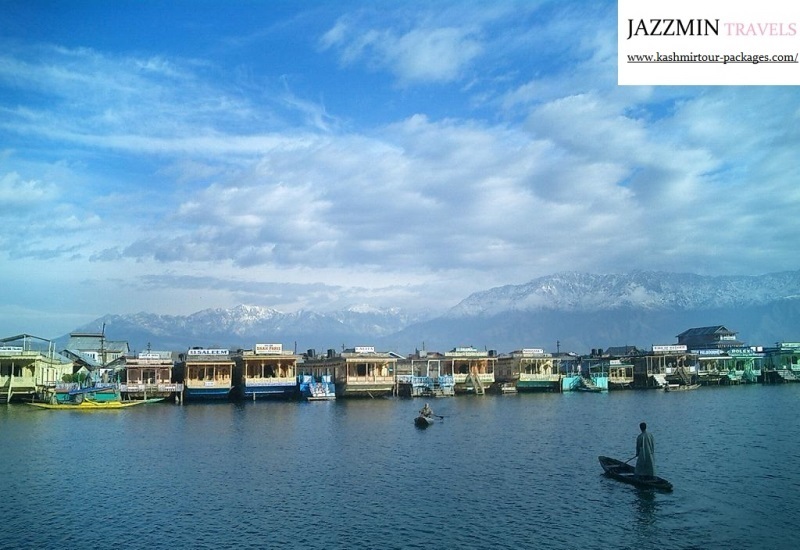 On arrival at the Srinagar airport (on your own), you will be received by Jazzmin Travels representative / driver. 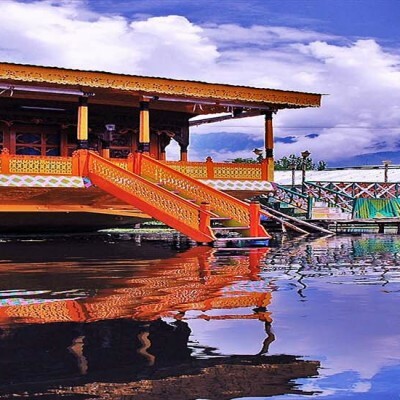 Once you board your vehicle, you will proceed to the deluxe houseboat / hotel (as per package selected). Later in the evening proceed for shikara ride in Dal lake. Overnight on board the houseboat / hotel. After breakfast, enjoy local sightseeing of Srinagar covering Shankaracharya Temple, the famous Mughal Gardens, carpet weaving factories. Evening free for shopping. Overnight on board the houseboat / hotel. Today after breakfast, check out from Srinagar and proceed for Pahalgam. Enroute visit Avantipura Ruins . 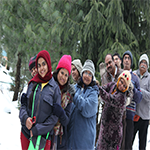 On arrival at Pahalgam, check In to your hotel. Evening is free for leisure activities. Overnight at hotel in Pahalgam. 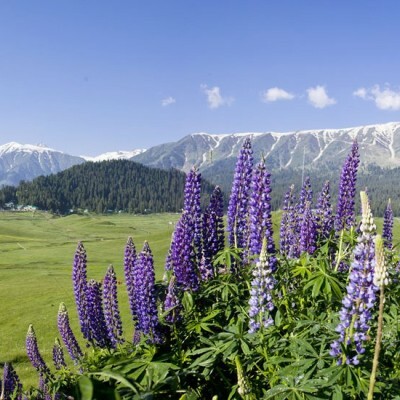 After breakfast, check out from the hotel and proceed for Gulmarg. On arrival, check into your hotel. Afternoon proceed for gondola ride up to first phase. Please note that no outside vehicle is allowed in gulmarg. You need to take local vehicle / Ponies on direct payment basis as local taxi union does not allow outside vehicle to do sightseeing. Driver will help you in booking local taxi / Pony. Evening is free for leisure activities. Overnight at hotel in Gulmarg. After breakfast, check out from the hotel and proceed for Srinagar. On arrival, check into your hotel. 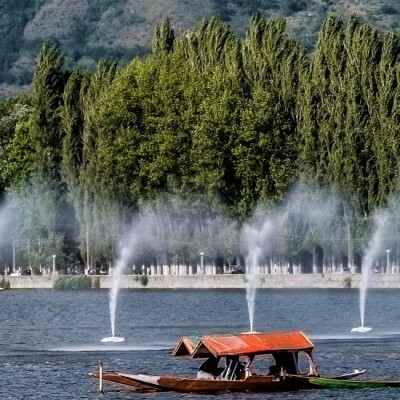 Later enjoy local sightseeing of Srinagar and boat ride in Dal Lake. Evening free for shopping. Overnight at hotel in Srinagar. After breakfast, leave from Srinagar and drive to Kargil, read passes through the panoramic village reach Sonmarg. After Sonmarg most rough road and wet Zojila Pass (Gateway of Ladakh) continue drive towards Drass. The second coldest inhabited place in world. Another two and half hours drive will take us to Kargil. Overnight stay at Kargil. After breakfast leave from Kargil and drive to Leh, first Buddhist Village will be Mulbek. We have to cross the highest pass (Fotula 13749 Fts) on Srinagar Leh routs. Finally we reach Leh, overnight stay at Hotel. Today after breakfast leave for the famous monasteries it is intresting to visit early in the morning to enjoy the praying ceremony at Thiskey Monastery. Continue drive to Hemis Monastery which is one of the most famous monasteries of the Ladakh. On the way back visit to Shey Palace. Overnight stay at hotel. Today after breakfast drive to Nubra Valley via Khardungla (highest motorable road in the world 18380 ft). Arrive at Hundur by afternoon. Rest of the day is free to explore Deskit, Hunder Villages and camel safari in sand dunes between Deskit and Hunder Village. Overnight stay at Nubra Valley. After breakfast visit Deskit Monastery, where you can have a magnificient view of Nubra Valley and drive back to Leh by same route. Leave early morning at 5 am to Pangong Lake through Changla Pass. While ascending Changla pass 5486 Mtrs. Enjoy the beautiful panoramic view of the villages below the pass. After crossing the pass halt for picnic lunch at Tsoltak, the summer pastureland of the yaks. Arrive – Durbuk and from there a short drive takes you to the western shore of the lake. Enjoy the landscape in the backdrop of the lake. This famous blue brackish Lake of Pangong is 5/6 kms wide and over 144 kms long with half of its running the other side of the “Indo-China Border”. One rarely feels so close to nature and environment and the scenery is unforgettable. Over night at Deluxe Camp. Leave Pangong Lake drive back to Leh. Overnight stay at Hotel. Today after breakfast, check out from your hotel and proceed to Leh airport. Rs. 500/day Hire a local guide to get to secret places! 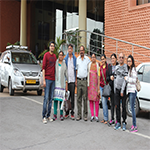 Accommodation per person on twin sharing basis in mentioned or similar hotel / resorts as per the itinerary. Shikara ride on Dal Lake once during the stay. Gondola ride at Gulmarg till 1st level. Mughal Garden entrances in Srinagar. Cost of the package is per person on twin sharing basis. Any Air or Rail fare. Any other meal not mentioned in price includes. Any other destination not mentioned in itinerary. 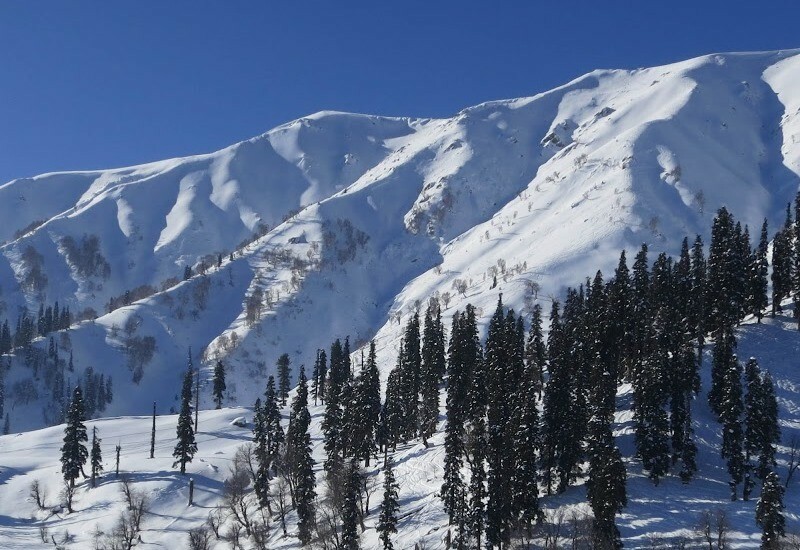 Any local transport in Gulmarg and Pahalgam. Any Pony / Doli Charges in Pahalgam and Gulmarg. Any monument entrance fees apart from those included, camera fees, guide charges. Expenses caused by factors beyond our control like rail and flight delays, roadblocks, political disturbances etc. The company is responsible only for those services that the guest is charged for. All other services for which no payment is made by the guest, the company is not bound to provide that service or pay for the same. Unavoidable circumstances for reasons beyond our control like accidents, strikes, political unrest, flood or other natural or manmade calamities, the itinerary of the tour will have to be changed or extended and the additional costs for it will have to be borne by the passengers. If any passenger wishes to leave the tour mid-way due to any reason then refund for the remaining part of the tour will not be given. If guests have any complaints regarding our services such as transport, hotels, houseboats etc. we must be informed immediately, so that the issue can be addressed on the spot. Complaints or refund for the issues will not be entertained after the end of the tour. Early check-in or late check-out may be charged by the hotel and is subject to availability.